Every registered member with GST is allotted a unique identity number. A separate electronic ledger is maintained to account GST tax, Interest on GST, Penalty for any cases in terms of GST payment. As per GST Law, every deposit made towards tax, interest, penalty, fee or any other amount by a taxable person by internet banking or by using credit/debit cards or National Electronic Fund Transfer or Real Time Gross Settlement or by any other mode, subject to such conditions and restrictions as may be prescribed in this behalf, shall be credited to the electronic cash ledger of such person to be maintained in the manner as may be prescribed. Explanation. - The date of credit to the account of the appropriate Government in the authorized bank shall be deemed to be the date of deposit. How does the Input Tax Credit of GST work in the electronic ledger of GST Tax assesse? The input tax credit as self-assessed in the return of a taxable person shall be credited to his electronic credit ledger to be maintained in the manner as may be prescribed. How is the GST tax amount available in the electronic cash ledger used for? 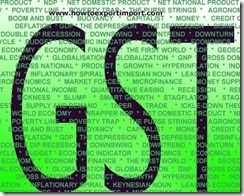 As per GST Law, the amount available in the electronic cash ledger may be used for making any payment towards tax, interest, penalty, fees or any other amount payable under the provisions of the Act or the rules made thereunder in such manner and subject to such conditions and within such time as may be prescribed. The amount available in the electronic credit ledger may be used for making any payment towards tax payable under the provisions of the Act or the rules made thereunder in such manner and subject to such conditions and within such time as may be prescribed. How is the input tax credit in GST electronic credit ledger utilized? Here, there are three liars of utilization of GST input tax credit. The amount of input tax credit on account of IGST available in the electronic credit ledger shall first be utilized towards payment of IGST and the amount remaining, if any, may be utilized towards the payment of CGST and SGST, in that order. The amount of input tax credit on account of CGST available in the electronic credit ledger shall first be utilized towards payment of CGST and the amount remaining, if any, may be utilized towards the payment of IGST. The input tax credit on account of CGST shall not be utilized towards payment of SGST. Note: This provision is to be incorporated in CGST Act. 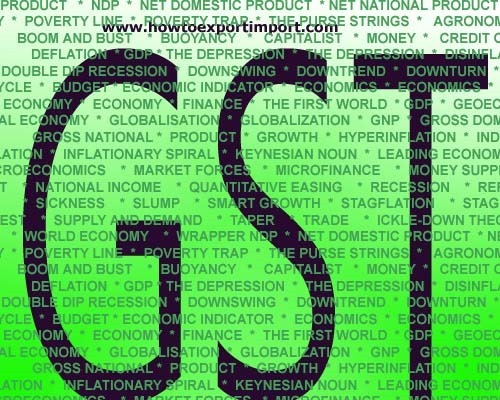 How to get refund of GST Tax? The balance in the cash or credit ledger after payment of tax, interest, penalty, fee or any other amount payable under the Act or the rules made thereunder may be refunded in accordance with the provisions of section 38 and the amount collected as CGST/SGST shall stand reduced to that extent. According to GST Law, all liabilities of a taxable person under this Act shall be recorded and maintained in an electronic register as may be prescribed. Every taxable person shall discharge his tax and other dues under this Act or the rules made thereunder in the following order: (a) self-assessed tax, and other dues related to returns of previous tax periods; (b) self-assessed tax, and other dues related to return of current tax period; (c) any other amount payable under the Act or the rules made thereunder including the demand determined under section 51. Every person who has paid the tax on goods and/or services under this Act shall, unless the contrary is proved by him, be deemed to have passed on the full incidence of such tax to the recipient of such goods and/or services. Explanation. — For the purposes of this section, the expression “tax dues” means the tax payable under this Act and does not include interest, fee and penalty. chandra prakash: On 04 July 2017 how it will affect J& K? How to export from India to Saudi Arabia?